Fifteen-year-old Carmen Johnson loved to swim and play in the water, but her love soon lead to her demise. It was a tragic accident that no one could have foreseen. 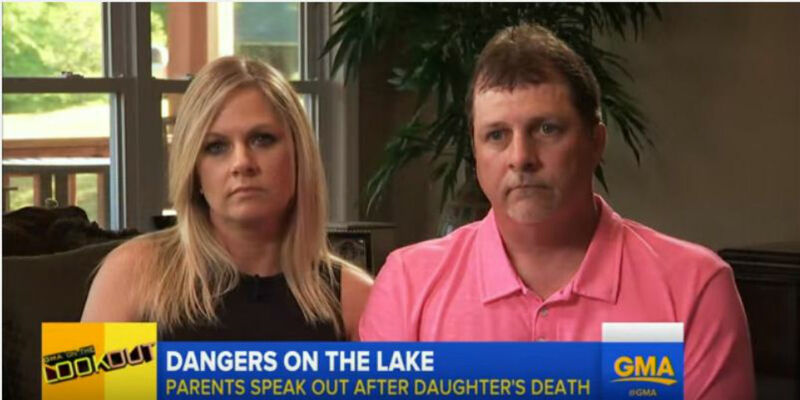 With her death, Carmen’s parents speak out on the dangers of swimming in a lake. On April 16, Carmen swam in the lake behind their home. Although she knew how to swim, something tried to pull her down into the water, which caused her to drown. He also added that both his sons Zach and Jimmy jumped into the lake to save Carmen, but they too almost died. “It felt like your arm or leg is asleep and it hurts to move, and you can’t move, but it’s your entire body. And you’re trying to tread water but can’t swim,” said Zach. While Zach and Jimmy survived after the main power switch was turned off, it was too late for Carmen. The weird incident that cost Carmen her life is called shock drowning. It happens when a current, often from a short circuit in the wiring of boats or in a dock, spreads through the water. As a result, those who are in the water will be electrocuted and end up drowning. The Johnsons revealed that local laws never really require the inspection of faulty electric lines. Now, they hope to use Carmen’s tragic story as a warning to all other parents about the dangers of lake electrocution. In the name of Carmen, they are calling for change in terms of safety standards. Join them in their cause by watching the video below.